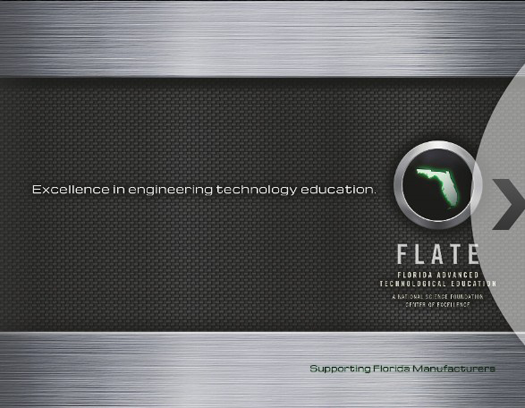 The Engineering Technology (ET) degree program was developed by the Florida Advanced Technological Education (FLATE) Center with Community Colleges and industries across the state and in close partnership with the Florida Department of Education Division of Adult and Career Education to address a growing need to supply manufacturers and high technology industries with qualified, highly skilled workers in the foreseeable future. The new ET degree program is a cohesive, comprehensive degree program that focuses on a set of core classes that cover introductory computer aided drafting, electronics, instrumentation and testing, processes and materials, quality and safety. 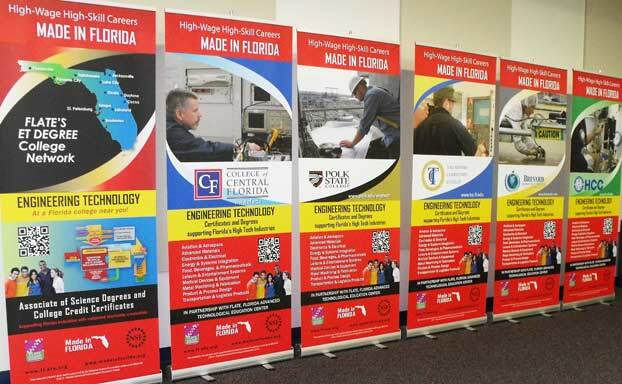 These core skills align with the national Manufacturing Skill Standards Council (MSSC) Portable Production Technician Certification. The ET Core coupled with a second year degree specialization prepares students for many jobs in manufacturing and many other high-technology industries. A valid MSSC CPT credential articulates to 15 credit hours of the ET Technical Core in any of colleges offering the degree in the state. The MSSC CPT is also one component of the National Association of Manufacturers (NAM) endorsed Stackable Certification System (SCS). This SCS system aligns industry validated credentials with academic programs and occupations supporting all manufacturing sectors. Download map and specific school degree / certificate specializations. Going on to a Bachelor’s Degree. All Engineering Technology Associate in Science (A.S.) Degree holders can transfer seamlessly to a number of Bachelor of Applied Science (B.A.S.) Degrees offered in Florida’s universities, state colleges and community colleges. The 2 + 2 agreements apply 60 credit hours of an A.S. Degree directly to the 4-year bachelor’s degree. The number of B.A.S. degree offerings across the state is growing rapidly. Additionally, A.S. degrees in Engineering Technology will articulate to the B.S.A.S. in Operations Management at USF Polytechnic in Lakeland. This degree is a gateway to post baccalaureate degrees and requires additional general education and has technical prerequisite courses that may require an additional semester to complete..
Information about all Bachelor Degrees (including Bachelor of Applied Science Degrees) offered at all Florida Colleges can be found on the Department of Education website.